You demand a lot from your engine, so reward it by using Chevron gasoline with Techron. Simply put, no other gasoline gives you a cleaner engine for lower emissions and higher performance. 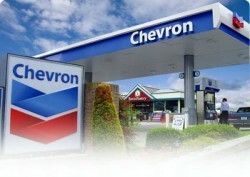 And as always, all octane grades of Chevron with Techron contain a high level of cleaning power.